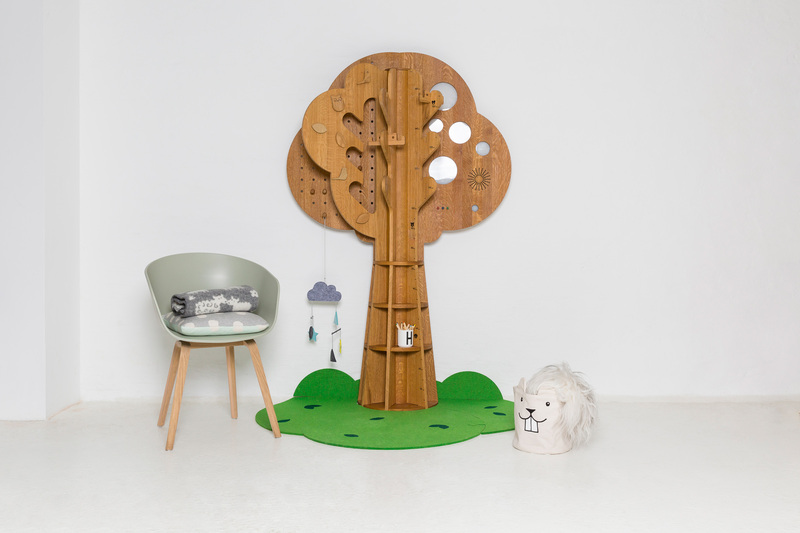 The TREEE is fun and formative furniture for children, designed by STUDIOLAV for ForCurly. Inspired by the symbolic attributes attached to a tree – such as growth, strength, positive energy & family – the forms and functions of Abril and Amir TREEE have been conceived to create an environment to nurture and nourish. Inspired by the classic building blocks toy, Amir TREEE is designed to bring kids and parents together to have fun assembling The TREEE. Simple geometric shapes are arranged in layers to form an abstract silhouette of a tree. The lower trunk compartments can be used for storing a child’s most precious possessions but are also easily removable and can be used as stools and occasional tables. For the initial stages of research for the design of The TREEE, STUDIOLAV organized a workshop with children aged to 2-8 to help us understand and visualize how they imagine a tree. These drawings formed the basis to explore and enrich the characteristics of Abril and Amir TREEE. 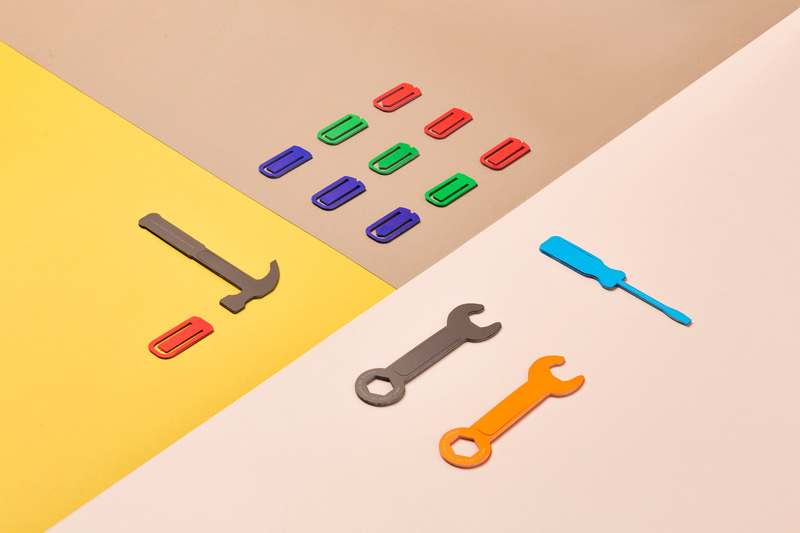 Later into the project, more workshops were organised in order to examine how children interacted with the concept prototypes and draw conclusions that further informed the design process. Designed to last and be passed on, The TREEE aims to be part of a sustainable future, an antidote to disposable consumption and throw-away culture. 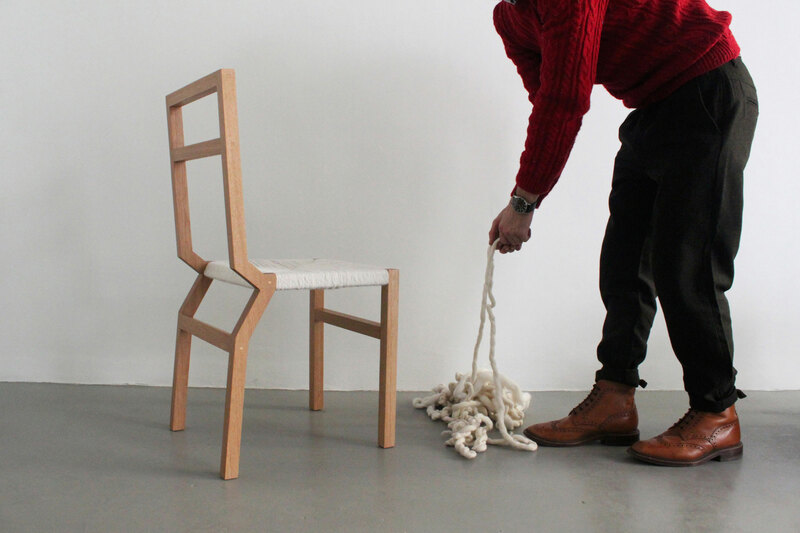 Materials have been carefully considered and sustainably sourced. It is produced in Central Europe in collaboration with environmentally conscious partners and committed to minimise environmental impact. The three E’s in The TREEE stand for Enchantment, Engagement and Enlightenment.